Who said that East is East, West is West, and these two cannot be together? This city disproved this statement. Astana is a unique symbiosis of east and west traditions, modernity and history, riskiness and rationality. During this excursion, you will take a closer look at the most significant architectural constructions and monuments of this modern capital, its history, and its plans of further development. The tour has a round route, which means that can be started from any part of the city. 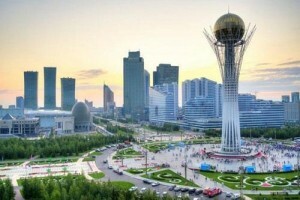 Apart of overall sightseeing you will visit the unique Khan Shatyr shopping and entertainment center, and will also take the elevator to the top of the Astana-Baiterek monument, where you can admire the magnificent panorama of the Kazakhstan capital from the special observation deck.